For Madeleine - our thoughts are for you today. Wishing you were here dear Madeleine thinking of you today and every day. Echoed. We will never forget you, nor forgive those who didn't care for you properly, Madeleine. We still pray for you every night.To be honest im not sure if it's out of habit or because we still have a tiny little bit of hope left. 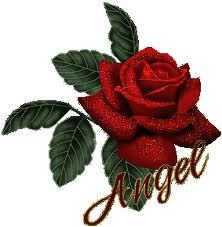 Wherever you are little angel i hope you feel the love from all on this site x. Happy Birthday Madeleine, wherever you are. One day you will get the justice you so richly deserve... the best present possible. and despite what the mcanns and pros want we will not go away until that happens i wont anyway!!! our thoughts, may the Angels watch over you. 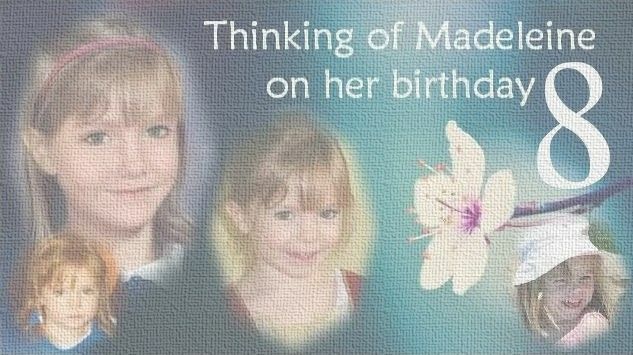 Remembering Madeleine on what would have been her eighth birthday .Wherever you are hopefully one day you'll be able to rest in peace. We will not sleep until we get justice, just like the LORD never sleeps as he watches over you and all those who have a place in Heaven. GOSH This is a sad day, the only thing that is cheering me up is Gerry and Kate's slips -ups and absolute stupidity. Karen wrote: Happy Birthday beautiful child.